I’ve always been fascinated by eyes. I’m certainly not alone with this obsession; indeed, for hundreds of years, artists, writers and philosophers alike have mused over the significance of the eyes; their significance and also their power. There are many forms of Art. It surrounds us on a daily basis, on a number of levels, and isn’t just restricted to the paintbrush and canvas. Every day often starts with an artistic decision as we open our wardrobe and peer in at the clothes inside. ‘What shall I wear today’ is often a sub-conscious way of saying ‘who shall I be today’. As Art is transformative, so too, is Fashion. Nestled in the iconic corner of Christopher & Gay street in New York City's West Village, Whynot Coffee & Wine has quickly rose to be the place to be seen while drinking the highest quality coffee & curated wines in all of New York. The interior of Whynot is decorated to feel like 1960's Paris. Adorning the walls are my paintings of women like Brigitte Bardot, Jane Birkin, and Catherine Deneuve. 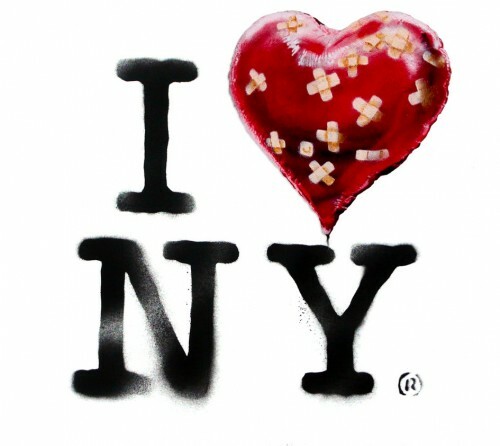 New York City Artist Jeremy Penn Answers the Question "Who is Banksy?" What is Art, exactly? It’s the question that has long been hanging off the lips of many an art critic for centuries. From the initially ridiculed Impressionists to Damien Hirst’s shark in formaldehyde, artists historically have always sought to challenge the accepted view of what Art is, preferring instead to explore what Art has the potential to be, and just how far the limits and boundaries can be tested. 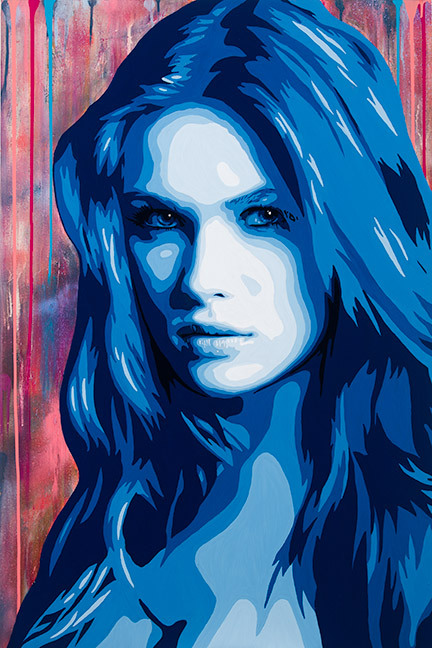 Tags: Artist, Banksy, Banksy Unmasked, Better out than in, Damien Hirst, Eduard Manet, Graffiti, Jeremy Penn, Jeremy Penn Artist, Jerry Saltz, King Robbo, London art, Modern Art, Mr- Brainwash, nyc, NYC Artist, NYC Residency, Pop Art, Street Art, vulture Magazine, What is art?, Who is Banksy? A question that has always fascinated me has been that of longevity in art. What is it that makes an artist endure? What is it that causes an artist to turn from a painter into a legend; that causes his or her works to be pored over, discussed and debated for decades, or even centuries after their death? I get asked, on a fairly regular basis, why I choose to paint Brigitte Bardot with such regularity. “Just what is it about Bardot that draws you to her repeatedly in your art?” To which I generally reply; “People say God created women. However, that’s impossible, because Bardot proves that God is actually a woman herself.” This may, as a first impression, appear as a mere glib comment, a humorous statement of my admiration for a woman of obvious physical beauty. However, as with all my work, and with my artistic muses, there is often a far deeper meaning beyond the superficial. It is not uncommon for an artist to find inspiration from a single individual. Throughout history, artists have used specific models, occasionally almost obsessively; using their representations to delve into the contours and lines that make up the figure and face of their inspiration, and also using their art to explore and reveal the psychology that lies behind the physical. On September 13th, 2012, the Road to Art Basel continued with the Red Bull Curates event at Villain’s “The Space at Fifty North Third” in Brooklyn, New York. Thirty of the city’s most innovative up-and-coming street artists unveiled the signature styles they brought to their canvas-wrapped Red Bull coolers and vied for the three coveted spots that would take them to the SCOPE Miami show in December. 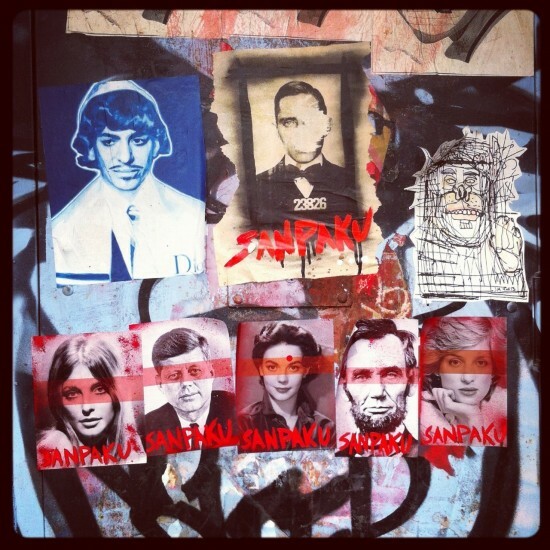 Artist Jeremy Penn took a break from his signature style of painting larger than life portraits of French icons to tell the story of the curse of Sanpaku. Sanpaku means the three whites in Japanese (san=3 paku=white) and refers to the iris being rather small, so that it can only cover about two-thirds or less of the vertical of the eye; imagining an eye as divided into four portions, the iris only ‘colours’ one portion, thus leaving the other three in white, hence “three whites”. The Japanese believed that someone with sanpaku eyes was imbalanced and destined to have a tragic end to their life. When you die, your eyes roll upward revealing the white underneath the iris. To illustrate the story of sanpaku, Penn used notable celebrities who died young and had sanpaku eyes. Penn's canvas cooler was wrapped in images of John F. Kennedy, Abraham Lincoln, Robert Kennedy, Princess Diana, Natalie Wood, Sharon Tate, John Lennon, Marilyn Monroe, Heath Ledger, Elvis Presley, Brittany Murphy, and Steve Jobs. Each one of these celebrities died young either from disease, murder, or drugs. Each of them had the rare eye disorder known by the Japanese as Sanpaku Eyes. Jeremy Penn discovered the curse of Sanpaku while working on his art series The Deception of William Murphy. Penn's cooler will be exhibited at the rooftop bar at King & Grove in Williamsburg, Brooklyn. The other 29 artists will have their coolers placed in establishments around Brooklyn. Red Bull Curates was a huge success in New York City. The 30 artists selected produced incredible art pieces. What I think was special about the work that came out of New York City was the range of styles between the artists. During the much anticipated finale, works by Gerardo Cid and L’Amour Supreme received the most votes from the curatorial panel of judges led by Daria Brit Shapiro, of the internationally renowned SCOPE Art Show, contemporary pop artist Ron English and Carlo McCormick, Senior Editor of PAPER Magazine. Throughout the night, thousands of guests voted for their favorite canvas wrapped coolers and ultimately honored artists CLAW MONEY and KOSBE with the Audience Choice Awards. All four New York area artists will join the winners from Los Angeles and Chicago in an all-expense paid trip to Miami to participate in a Red Bull Curates group show at SCOPE Miami during Art Basel, where they will have the chance to exhibit and sell works from their own collections. Congratulations to all the winners. Make NYC proud in Miami. Much love to the amazing folks at Red Bull & The Arts Fund. Shout out to the amazing photographers below who photographed the Red Bull Curates event. Since I paint on a lot of unique materials, I find myself having to adjust the chemistry of my paint. While artists traditionally use substrates like wood & canvas, many of us are pushing the boundaries by exploring new surfaces to paint on. Every artist should know a little about the chemistry behind their materials. While artists like Picasso occasionally painted on cardboard (which makes a terrible archival substrate because cardboard is full of acid), it is important to insure the longevity of your work both for your collectors and for your legacy as an artist. There is lots to say about the spectrum of proper archival methods but I will save that for another time. Instead I want to talk about adhesion and substrate, which falls under archiving. Surfaces like canvas are ideal for painting. The fabric grips the paint, absorbs, and ultimately bonds together. But what about glass, aluminum, and plexi? Those 3 are non-porous which means that the paint would sit on the sleek surface without any "tooth" to hold onto. Without proper steps taken, your paint would be at risk of being scratched or peeled off. Here is what I recommend for painting on these non-porous surfaces: First, you should use a scotch-brite pad to scour the surface. This will damage the shiny appearance of the surface but it will create "tooth" for the paint to grip to. If you don't mind painting the entire surface white first, then I highly recommend Sherwin-Williams Adhesion Primer. It is an incredible product. If you want to keep the background of your substrate natural in appearence, then let me introduce you to Golden's GAC-200. GAC-200 is a specialty primer that increases adhesion and film hardness. I recommend adding 30%-50% GAC-200 to your acrylic paint. The best paint for non-porous surfaces will always be enamel but with the proper steps, you can begin to use other painting mediums with great success.